By Austin Lefevre Most questions surrounding coral husbandry are in regard to ideal reef parameters. When dealing with parameters in our reef aquaria one notion holds true across all coral species: stability promotes success. Infamous reefer Greg Carrol even used this as an acronym for “S.P.S.” which most people read as “Small Polyp Scleractinian”. While genera such as Acropora, Montipora, Seriatopora, etc. generally require stable parameters to even survive, all species of coral will thrive when afforded rock solid parameters as seen in the ocean. What does that mean? Corals have to undergo some type of parameter shifts in nature, don’t they? Of course they do. Seasonal changes, ocean currents shifting, acidification, etc. can all alter parameters. However, these parameter shifts generally happen over periods of time measured in weeks or months. Whereas in our little boxes these changes can occur within minutes or hours. When these changes happen drastically, corals can bleach, succumb to ailments, or just die outright. So how do we prevent drastic parameter shifts in our aquaria? In a nutshell, foresight and preparation. Source Water is the most important (and frequently overlooked) aspect of keeping parameters stable. I’ve seen hobbyists spend thousands upon thousands of dollars on equipment to keep their water pristine, while starting with sub-par source water. Keep in mind that coral can be grown in a bucket of saltwater, assuming flow, light, and water changes are provided to keep parameters stable. All other equipment is an attempt to keep water pristine between water changes. Nowadays some aquarists seek to prevent water changes while dosing trace elements and exporting nutrients through algae, GFO, etc. This is just another means and does not change the fact that starting with subpar source water will lead to issues down the road. For most of us the best source water starts with an RO/DI unit to create 0 ppm TDS (be sure to choose a unit best fitted for your specific needs). 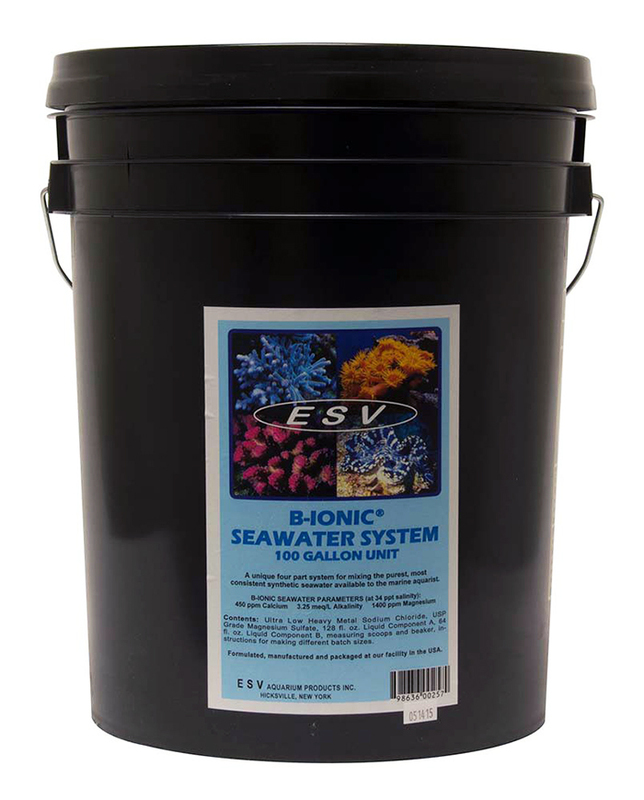 Past that there are a plethora of salt options to create your perfect synthetic reef water. I recommend using a salt that has beenput through the wringer by hobbyists and commercial entities alike. If you have a vendor you use frequently, I recommend using the same salt they use. Some aquarists have access to seawater, which is fantastic. However you must be cognizant of the source of that water as well; deep wells or pumps placed deep in channels are generally the best source for natural seawater. Case Study Received an email from a frustrated long-time reef keeper who would randomly have some major issues with otherwise seemingly healthy coral. We held several video conferences going over his equipment, animal interaction, and maintenance regimen. When looking at source water he noted, ‘I tend to change salt brands based on price, or what my trusted friends say about a new salt on the market.‘ Of course without remaining consistent he was setting himself up for issues to arise. We revamped his RO/DI system, got him into a solid well received salt, and the issues disappeared. Equipment choices generally do not directly make or break an aquarium, although the frequency of maintenance required, reliability between maintenance, and ease of maintenance can make or break the aquarist. Most hobbyists’ goal is to sit and enjoy their aquariums. Newcomers often find out the majority of their time is spent tinkering with equipment. Unfortunately there is a massive market for cheap products directed at new hobbyists. This leads to frustration, causing many to leave the hobby post haste. Of course there are the unfortunate few who experience equipment catching on fire. You rarely, if ever, hear of higher end reefing equipment starting a fire. Although every month or two we see entry level cheap equipment starting fires. I cannot stress enough to utilize drip-loops, mount all electronics off the ground away from splash zones, use GFI outlets, keep equipment clean, and purchase UL certified equipment. There’s a reason those of us tenured in the industry call equipment “life support systems”. Without properly functioning equipment the lives we treasure cease to exist. Using reliable equipment that’s easy to maintain is a sure-fire way to keep your parameters stable while leaving time to enjoy the aquarium. Preparation for inevitable power outages is a must. If you already have a whole-house standby generator you’re in good hands and can skip this paragraph. If you’re like most hobbyists that read by candlelight during an outage, you could be in for a real nightmare until power is restored. First, install a monitoring device if you travel frequently or have long work days. My go-to is a wireless web camera as I’m not a fan of most all-in-one controllers. If you utilize an all-in-one controller make sure you are aware of what happens with each piece of equipment when internet connectionand power is lost. Regardless of your monitoring method it’s imperative to have it alert you of an outage as soon as possible. My Nest cams have a 30 minute buffer, so I receive an alert 31 minutes after an outage. Battery back-ups are now available for several popular pump choices and are a phenomenal means of hobbling your aquarium along until you can power up the whole system with a generator. There are very inexpensive battery powered air pumps that can help in these situations, however they lack the ability of providing sufficient flow to coral, which can be seen after a day or so. 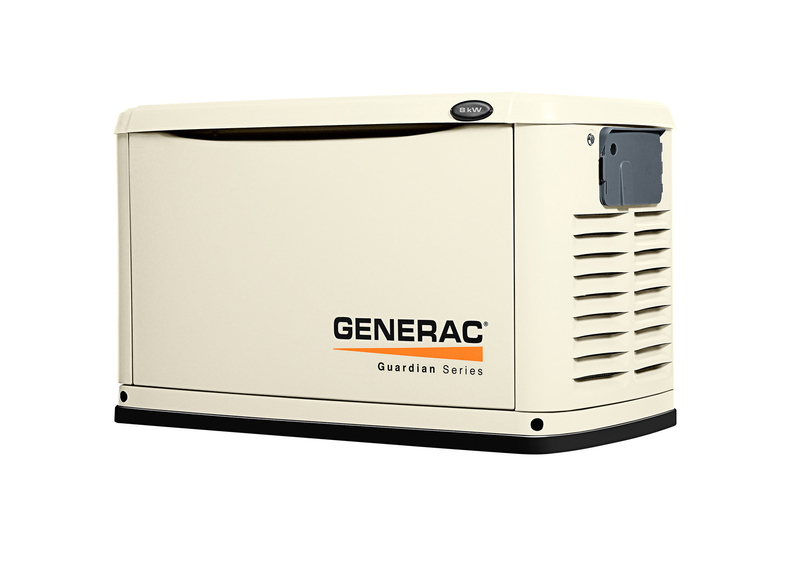 A generator should be available to get the entire system back up within a couple hours or you can face major issues keeping parameters stable until power is restored. The farther parameters shift during an outage the more stress animals have to endure. Case Study There was a time when we would take on most any maintenance account. One client defined being cheap, even asking me to break up packs of food and sell her half at a time. When it came to discussing power outage preparation of course she did not want anything in place, “I’ll call you if I lose power…” was the unacceptable answer I initially received. Once informed that we would not be returning until something was in place she agreed to get battery powered air pumps. At one point she lost power for three days, and by day two all corals were showing major stress. By day three half were lost. The losses spiked nutrients which caused more long-term issues. All could have been avoided with a proper power outage plan. She was let go shortly thereafter and we stopped offering battery powered air pumps as an option altogether. 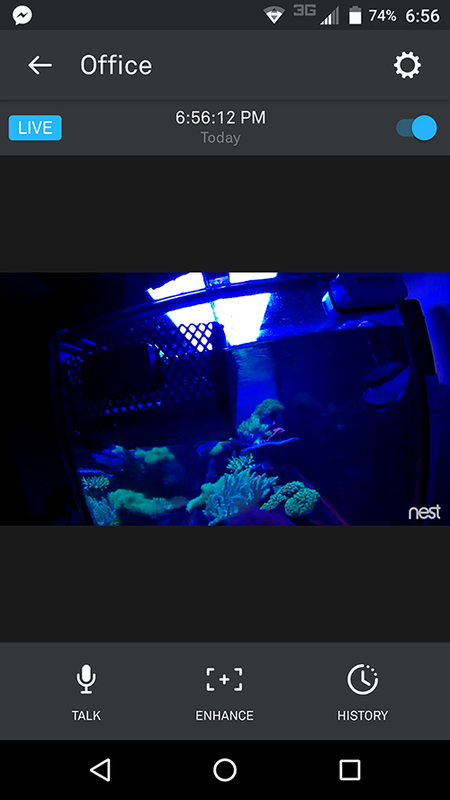 Screenshot of the authors phone showing nest cam view of his office reef aquarium. Photo by Austin Lefevre. Chasing numbers is a very common and dangerous game to play. Natural reefs have (relatively) vastly different parameters from place to place, however their specific parameters remain stable. This is why we see a large range of “acceptable” parameters offered in literature (e.g. Alkalinity should be maintained at 7-14 dKH). Some people try to emulate other systems’ parameters based on the results of one hobbyist which can lead to major issues. Every system reacts differently based on exterior influences such as available oxygen and excess carbon dioxide in the room where aquarium is placed. We should focus on what levels our source water stabilizes at, and aim to keep parameters at those numbers. This also affords us the opportunity to perform large water changes every so often without worrying about shifting parameters drastically. Case Study I had a client trying to chase pH in a fish-only aquarium. He clearly did not understand the function of pH and what affects changes, rather he read somewhere that pH should be maintained at 8.2. His pH consistently hovered around 7.7, so he was in the habit of adding a pool buffer to his make-up water, which would raise pH after a water change to ~8.1. Of course, in mere hours it would start to drop again. During my first visit all issues were very apparent: large aquarium (~1,000 gallons) filled with huge fish, acrylic tops on display aquarium, no outside air being moved into the ~30 sq. ft. filtration room, etc. Carbon dioxide was not being driven off sufficiently, causing chronically low pH. While he was chasing that level, swinging from 7.7 to 8.1 and back down during every water change, he stressed out his animals considerably which lead to other issues. While leaving at pH 7.7 probably is not ideal long term, it is not going to cause any major issues in marine fishes, but him chasing that number certainly did. A wall mounted A/C unit was installed bringing fresh air into the filter room which stabilized pH to 8.0-8.2 without the use of buffers. Hopping on the proverbial bandwagon is commonplace on hobby forums. The science behind what we do is sound, a proper maintenance regimen is not difficult to work out once you grasp the basics. Yet people still try to search for the magic wand that will make all headaches go away. I’m here to tell you that as of writing this, there isn’t one. Stick with good reliable equipment, stay on top of maintenance, procure quality animals, and you’ll be successful. This is not to say that hobbyists’ anecdotal reports mean nothing, quite the contrary in fact. However it’s best for most reefers to sit back and wait to see long term results of some newly introduced method/additive/equipment. There is always going to be someone willing to try a seemingly crazy new method/additive/piece of equipment… don’t risk the lives of your animals when regular maintenance would fix the underlying issue. Implementing something new on your established system is a surefire means of shifting parameters, so keep a close eye after any changes no matter how small they may seem. Case Study There was a liquid additive promoted on forums (by manufacturer) that claimed to reduce nuisance algae completely by proprietary measures. Dozens if not hundreds of aquarists jumped at the opportunity to try out this potential magic wand. Initially there were some interesting beneficial results, then came the random tank crashes. 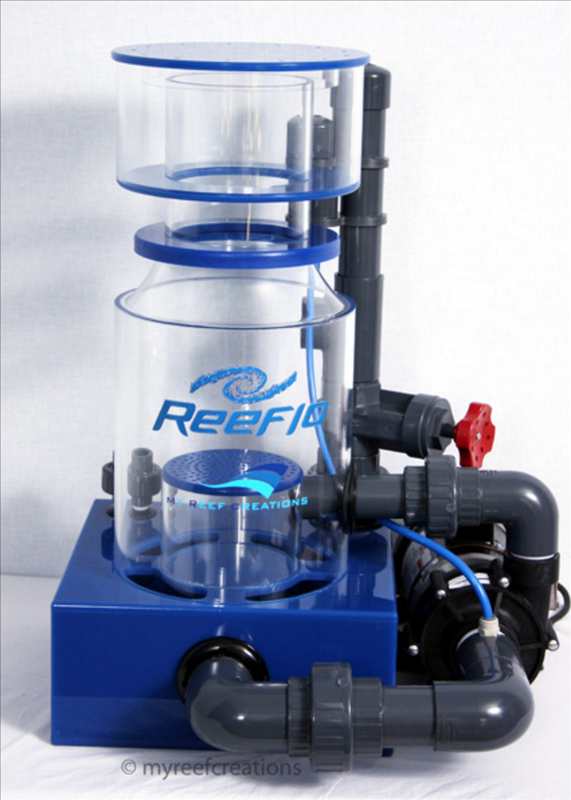 No less than six people with wonderful established reef tanks had complete losses after using the product. The product is no longer even whispered among most reef keepers, although I have seen the manufacturer now targeting the pond world. 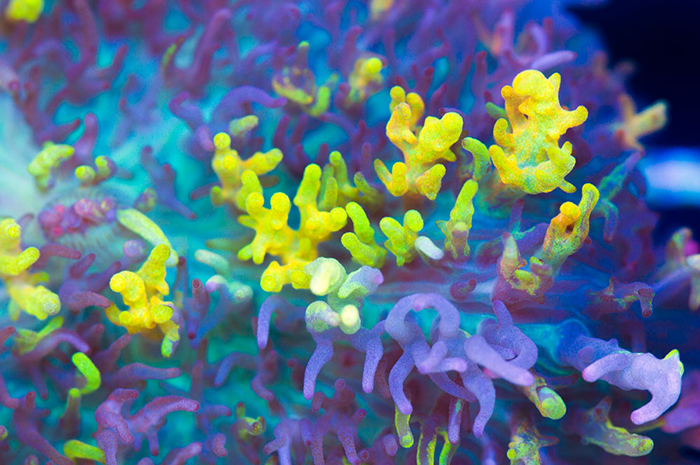 There seems to be an ever growing trend among hobbyists to move coral around until it finds it’s happy place. While this obviously does not affect parameters directly, it surely affects the stability of the animal. One thing I’ve noted while diving and perusing the millions of pictures divers post online is the ability of corals to adapt to a wide range of light and flow patterns. The parameters on these reefs are stable, but storms may dislodge colonies, large fish can tear off a branch with ease, or an untrained diver may knock a coral off it’s base. 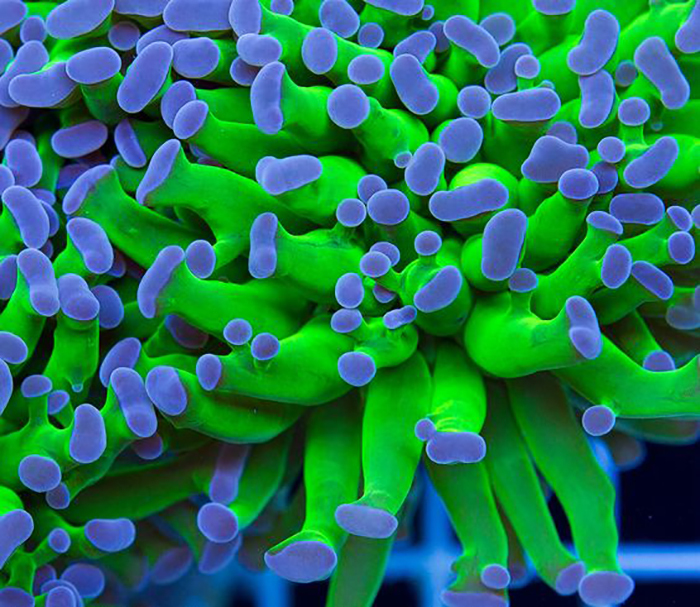 Experienced reefers know that letting a coral settle in, provided adequate flow and light to begin with, is the best method to ensure long-term success of the animal. Moving an animal around while comparing it’s PAR values with other hobbyists does nothing beneficial for most species; they should be afforded time to adjust to your system initially. Start coral low in the aquarium to acclimate to your light source, and slowly move to it’s final position over the course of a week or so. In conclusion, be prepared, have foresight for inevitable circumstances, and let nature do its thing without intervening unless absolutely necessary. Remember that while it is fun and rewarding to collect the amazing variety of coral we have at our disposal, they are animals, not coins or cards like other hobbies entail. These animals deserve our respect, demand our understanding, and will reward us for years to come if we provide them the stability they seek.